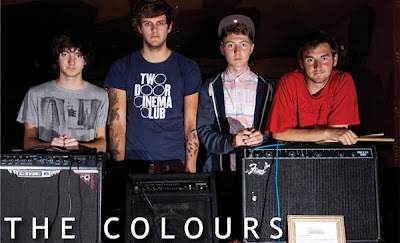 The Colours are a Blackpool based quartet that caught my attention with their big time sounding songs 'Everyone Complains Nothings Gained' and 'Olivia in India' which you can listen to them both by heading over to the bands Facebook page. I really like what I hear on the 'Everyone Complains Nothings Gained' track, I think the song works very well and it show cases what this band has to offer. These guys just signed to the independent record label, Hey Bert Records and are setting themselves up nicely for a full release. They have already drawn some comparisons to Funeral Party, Bombay Bicycle Club and Two Door Cinema Club and you can see why from their catchy vocals and sounds. Grab the 2 free tracks here, and be sure to check these guys out.